Mike Brown, CCMoore’s fishing consultant, writes about how to use this simple method to achieve an amazing effect and improve his approach to catching carp in boilies. It is fair to say that the boyle has undergone tremendous changes since the time of its birth, and today there is an unthinkable variety of these best quality baits. In the circles of carp fishermen, there is a controversial opinion that anglers, who are accompanied by constant success, try to choose a certain bait and persistently apply it throughout the season, making it easily accessible to the carp of a particular pond. If the bait is of good quality and the carp feed it for pleasure, this approach invariably brings dividends in the long term. Often a fisherman who steadily applies such a bait all year round succeeds to maintain success even in the worst periods (for example, at the height of the summer heat), but he reaps the real fruits in the autumn when carp are actively searching for his bait, preparing for the coming winter. However, you can be sure that the most successful anglers on your club or syndicate pool often resort to small tricks that allow them to furnish everyone else! 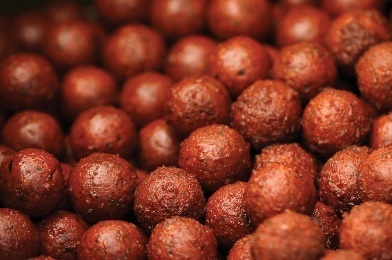 One such technique is the heat treatment of boilies, which really enhances the performance of your bait and ensures high results throughout the season. Many require boilies of sufficient hardness, which is necessary for the long casting of bait “cobra”, and as a result, manufacturers often dry them to such an extent that the allocation of attractants becomes extremely slow. When processing this bait with hot water, its texture immediately changes – the boilies soften and swell, gaining a nearly pasty consistency. Heat treatment. 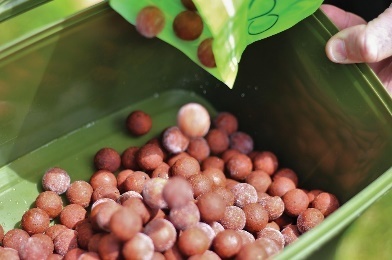 Place 1-2 kg of frozen or conventional long-life boilies in a bucket of suitable size. Fill the bait with boiling water so that it is completely covered with water (no longer necessary! ), And tightly cover the bucket with a lid. Leave the bait soaked with hot water for ten minutes or longer, making the balls become lighter, really soft and slightly increase in size. After this drain the water, leaving the bottom of its layer a few centimetres thick. At this stage, you can give full imagination and show considerable ingenuity! In our time, a lot of liquid additives of high quality are available, very attractive for carp. One of my favourites is the liquid Tuna L030 Liquid Fish Protein, which appeared several years ago. This tuna version is perfectly soluble in water, rich in proteins, has a high content of useful salts and, undoubtedly, insanely like carp! 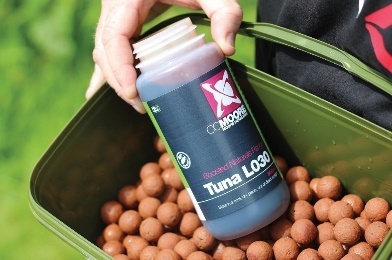 While the bait is still hot, add a decent portion to the bucket – do not save here – the liquid attractant you have chosen (one or several) and mix the contents thoroughly so that all the balls are completely covered with the solution. Again, cover the bucket with a lid and leave the bait to languish in the “soup” you have prepared, rich in nutrients. As the cooling cools, the boilies will begin to absorb the liquid, being supplemented by additional attractants and other useful substances. 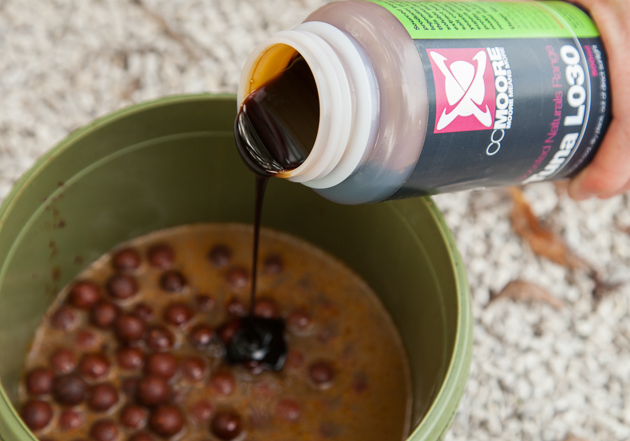 An excellent addition to your soup can also be Liquid Feedstim XP, which along with the Tuna L030 will disperse all over the water immediately after hitting the bait in the swarm, sending nearby carp a powerful signal that the food is ready for them … This signal will be much stronger than with the ordinary use of boilies directly from the packaging! At the last stage, another “charge of attractiveness” is added! Here, too, you can experiment a lot, and there are many different high-quality supplements that are worth trying. 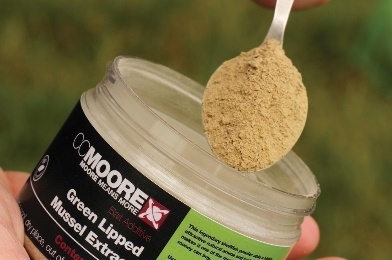 For the CCMoore Pacific Tuna boilers treated with the liquidation of Tuna L030, an obvious addition to it is the powder extract of the green mussel Green Lipped Mussel Extract, which is very attractive for all carp due to the distinct smell of molluscs and a remarkable food profile. 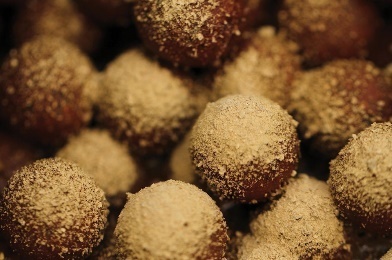 You just need to take a few teaspoons of dry additive (per 1 kg of boilies), evenly sprinkle it with liquid-covered bait and then carefully shake out, so that each ball is clothed with a layer of powder. This thin crust will stay on the surface of the boilies quite firmly, as the liquid Tuna L030 has proper tackiness. The bait obtained in this way acquires an increased flavour and aroma attractiveness and it will be excellent to call carp to your “table”. You can easily combine several different powder additives, using along with the above-mentioned GLM extract, say, Feedstim XP Powder or Antarctic Krill Meal. Matt Jackson (Matt Jackson), who swears he’s powdering his baits with this flour from Antarctic krill, caught a lot of big carps on the ponds! In general, the heat treatment process for boilies, for all its simplicity, clearly can provide you with a serious advantage over other anglers in your pond using a completely standard approach. To process the bait described in this way, you can directly on the beach and use it immediately, still hot (the effect can be stunning!) Or prepare it at home and hide it in the freezer until the next trip. During such storage, the boilies, naturally, will shrink to their normal, original diameter, and a significant part of the liquid will penetrate them even deeper. This will further enhance the degree of their attractiveness when you use the thawed bait at the next session. 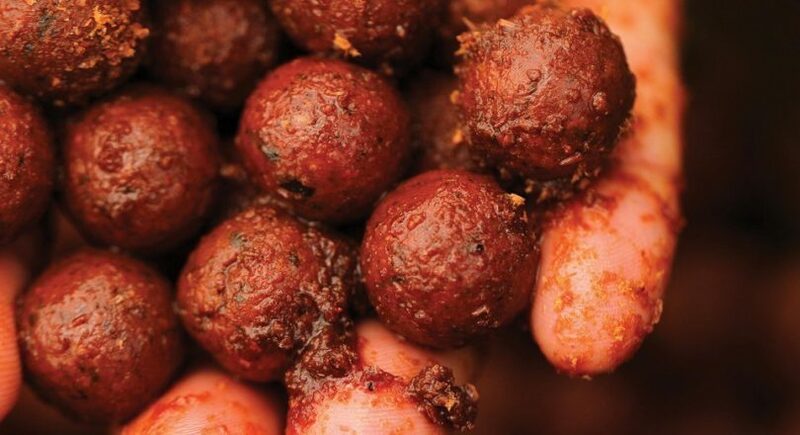 Take this method for service and get ready for serious carp food activity! 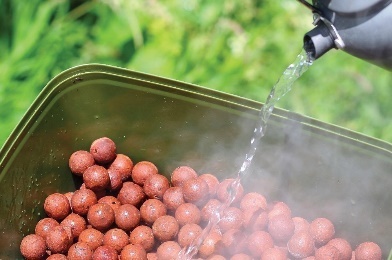 First, fill a bucket with 1-2 kg of boilies. 2. Fill the bait with boiling water to such a level that it barely becomes covered with water. 3. 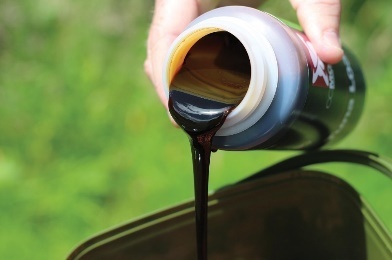 While the boilies are softening, pick up the desired liquid attractants. 4. After ten minutes, drain almost all the water and abundantly moisten the bait with liquid. 5. Boyles will slowly absorb the attractants from your “soup”. 6. Now take the desired powder attractant. 7. Enough generously sprinkle boilies with powder. Standard boilies from the package are for the carp a well-known “tasty morsel”, but how can you easily increase the attractiveness of your existing store product? Some masters of carpfishing, focusing on catching particularly large fish, for many years use for this purpose the heat treatment of boilies, making the lure softer and porous, which ensures better water exchange.